Cute Jewellery by Chelsea Doll: WIN A £100 GOODIE BAG! 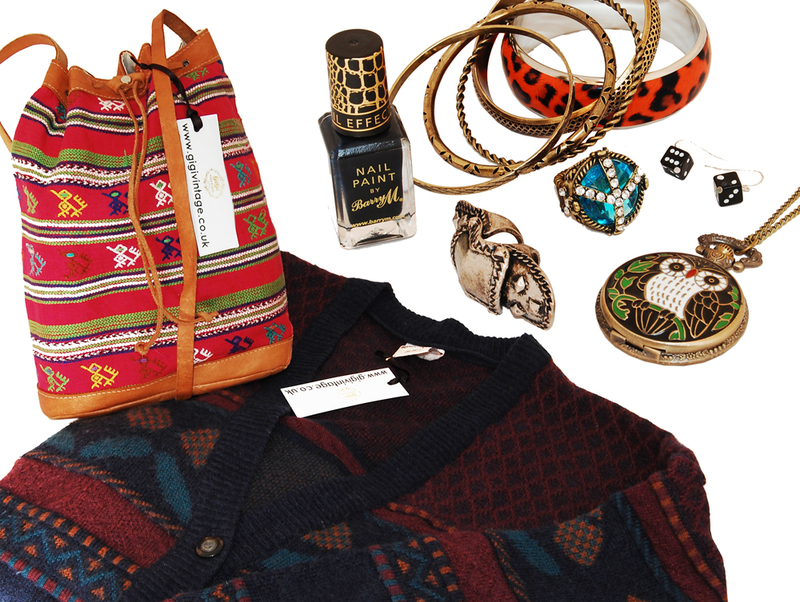 WIN A £100 GOODIE BAG! 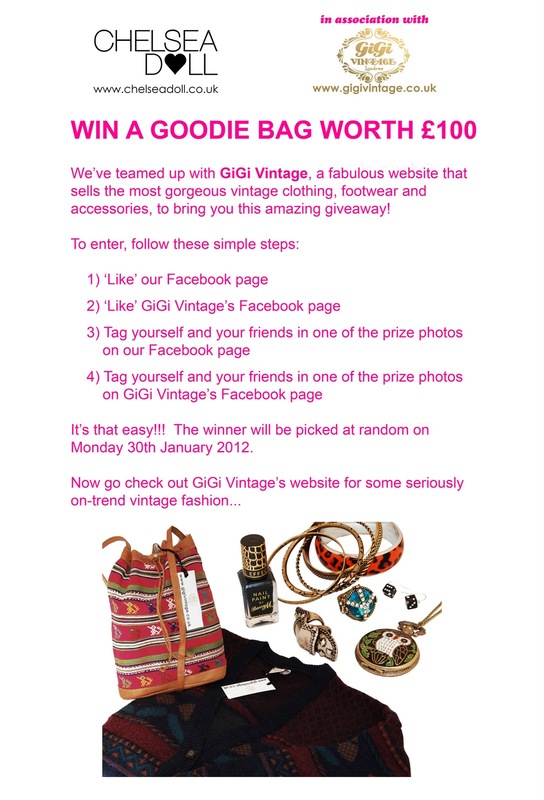 Now, we know how dull, boring and depressing January can be and how little money everyone has, so to cheer up our loyal followers, customers and friends we've teamed up with the utterly fabulous, vintage website - Gigi Vintage, to launch a Facebook give-away of a £100 goodie bag! We've been huge fans of Gigi Vintage for ages and we know how much you love on-trend, one-off vintage pieces, so this give-away just *had* to happen. So, now you're wondering how to get in on the give-away action, right? 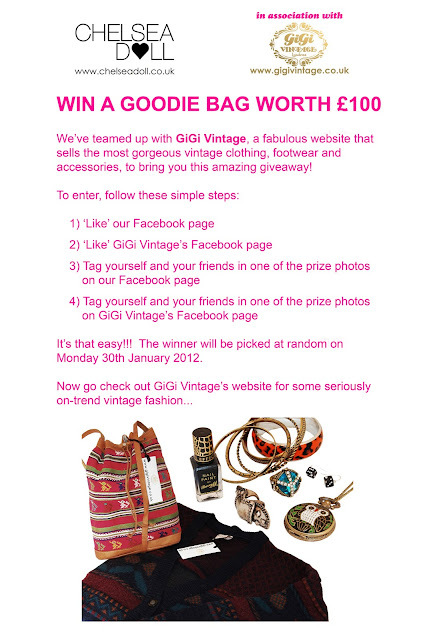 Well, fear not - simply take a look at this flyer which outlines how to enter!